Shot by First Lieutenant Mike Scotti on his Mini-DV camera, and told through his own journal entries, Kristian Fraga’s “Severe Clear” is more than a documentary. It is a first person account of the Marines who were on the front lines of Operation Iraqi Freedom. This is what they saw. the battlefield. 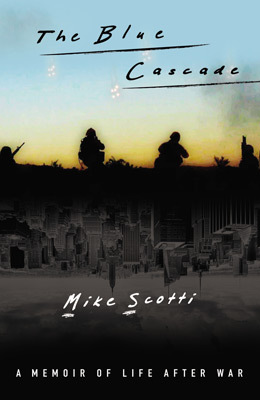 The personal story of Mike Scotti and the Marines in his unit is the backbone of this intimate, extreme and often times horrific tale. The story begins with Scotti on a 40-day voyage across the Arabian Sea, aboard the USS Boxer, where his days are filled with physical training, tactical study, and mental preparation. For the Marines, who have been in a constant state of war since the September 11th attacks on the World Trade Center and Pentagon, the political wrangling of world leaders and diplomatic debates over the merits of UN resolutions are nothing but a smoke screen for a war they all know is inevitable. So they train, blow off steam, and wait. The forces reach Kuwait, but there is more waiting to be done. That is, until President Bush addresses the nation and orders the beginning of Operation Iraqi Freedom. As they push onto Baghdad, patriotism and youthful enthusiasm gradually gives way to the real, brutal horrors of war. As the resistance to their presence escalates, Scotti and his fellow soldiers are forced to come to grips with the magnitude of the situation they find themselves in. 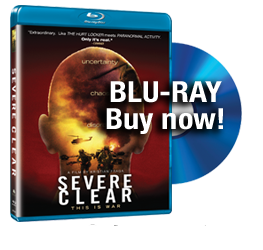 Severe Clear is a motion picture that captures the chaos and complexity of war. Since 1997, Sirk Productions has been dedicated to producing and distributing original feature films and television programming. From the award-winning feature documentary Anytown, USA to the critically acclaimed television program The Inside Reel, Sirk Productions’ mission is to produce content that is inspiring, thought-provoking, and entertaining. Sirk recently acquired the Zilo College Television Network, the largest campus dorm room television network reaching millions of students nationwide. The network was rebranded as SirkTV and expanded its programming lineup to include fashion and music shows as well as short and feature length independent films. Severe Clear is the first feature film to be theatrically released and distributed by Sirk Productions.